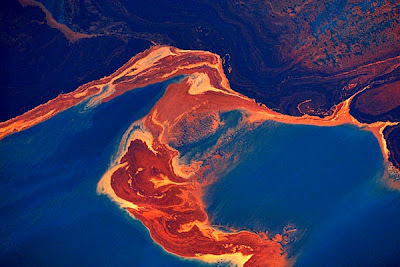 The oil slick in the Gulf of Mexico is seen from a helicopter. I sure hope they get that leak stopped soon. What a disaster. Never fear...Mother Nature is Here!!! Wonder what the next hurricane might do...might have some reason...we don't know.